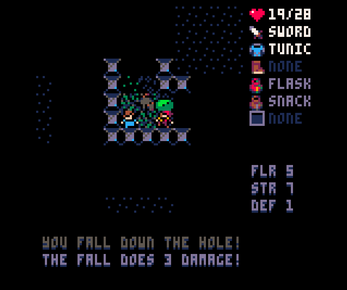 Tower Noire is a small coffeebreak roguelike inspired by Cave Noire, Little Nemo, and Powder, created for 7DRL 2018 in PICO-8. I ended up reusing old, long-abandoned assets and concepts to be able to complete something in 7 days. 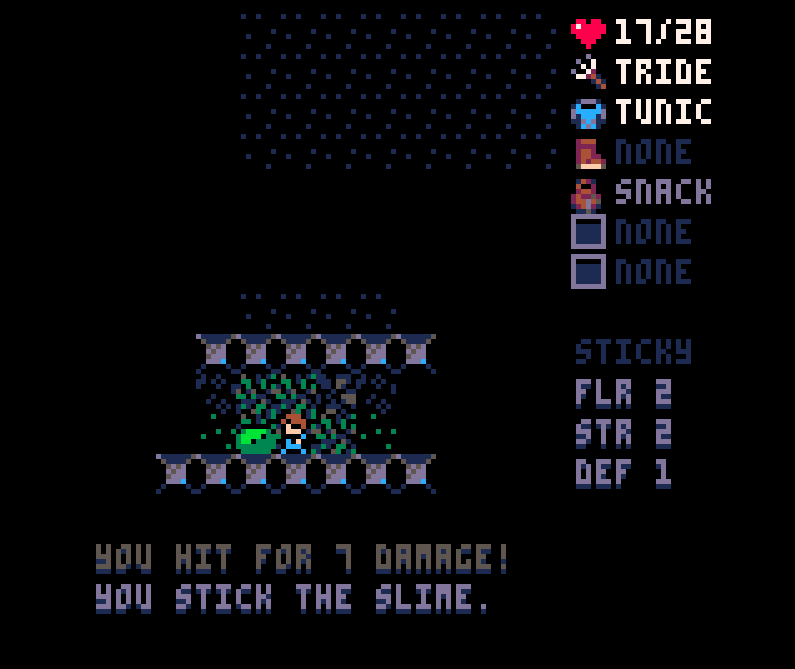 Controls are the default PICO-8 buttons (I use the arrow keys, Z for the menu/confirm and X to wait/cancel, but there may be a more comfortable alternative depending on your keyboard). Gamepads are also supported. The goal is to get to the 25th floor and defeat an enemy there, so plan accordingly. Your starting equipment will very quickly need to be upgraded. Passive effects for weapons may be more useful than additional strength. Some passives effect positioning and can help you from getting cornered. There are no boots in the game currently. Enjoy walking in the grass barefoot. Get a sense for the room before running straight in. Some enemies can kill you pretty easily in 1x1 hallways. 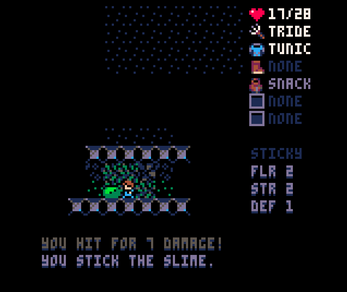 Explore the room carefully for easy enemies that drop edible items and items scattered around. 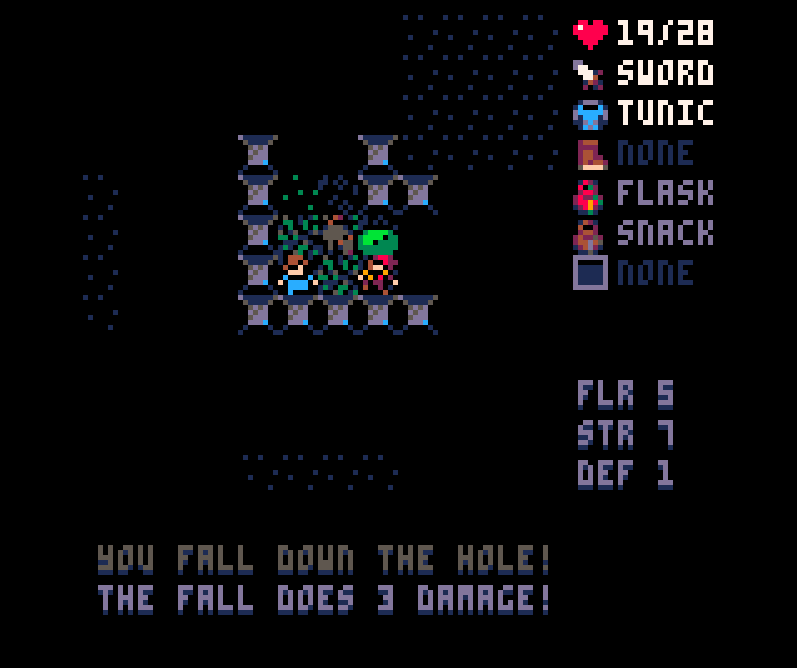 Falling down a hole will damage you and also let the enemies take a turn. On harder floors this can do a lot of damage.